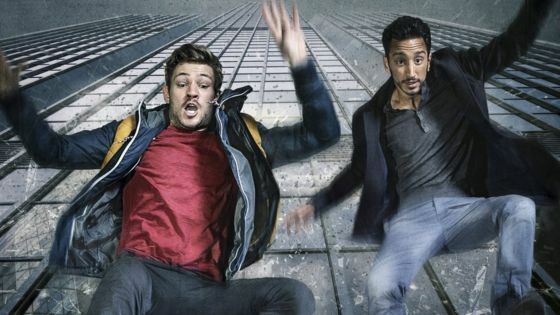 BBC One’s New Blood brings a youthful twist to the crime genre – saddling its fresh detectives with university loans, poor job security, and unable to buy a place to live in London. It starts tomorrow at 9pm. Adding to this honesty about London-life, Stefan and Rash are first generation – hailing from widely differing family backgrounds. The contrasts of London too, are honest – Stefan and Rash come up against the super rich and powerful – the new breed of criminals who hide behind legitimate facades and are guarded by lawyers. The production filmed between October last year and February this year, across Southwark, Lambeth, Lewisham, Camden and Islington. Anthony Horowitz wrote the seven-part series – take a look at the trailer here. FilmFixer handles the Film Office service on behalf of these London boroughs. FilmFixer director Andy Pavord was thrilled to see a fresh twist brought to the series. “London has a great, long-standing reputation for providing moody locations to crime drama – but this series is one that young Londoners will really recognise. It can be tough to get ahead in the capital – particularly when you are just starting out. This probably makes it even more galling for young detectives up against the corrupt super rich. Val Solomon-Smith, is a spokesperson for Lupin Point’s Two Towers Housing Co-operative Limited in Southwark. Some key scenes were filmed on the rooftop there, and a donation made to residents. Aside from the action shot on the roof at Lupin Point, Southwark’s Brandon Estate saw some thrilling scenes shot – and also received a generous donation. You’ll also see the crime fighters walking down Druid Street. Nearby Lambeth saw filming along Upper Ground and then Belvedere Road where one of our leads is stumbling along having had his drink spiked earlier that evening. He narrowly misses being hit by a truck, as his buddy pulls him out of the way just in time. And in Lewisham the Montpelier Café at Blackheath features, along with one of London’s favourite local secrets, AJ Goddard’s pie shop on Deptford High Street. Across the river in Camden, you’ll recognise scenes from the rooftop of Camden Town Hall on Judd Street, Tavistock Place, Euston Road, University College London Hospital, Gower Street and Tottenham Court Road. You’ll see the crime-fighting duo hail a taxi in Argyle Street, and a nifty stunt at the Oasis swimming pool on Endell Street, where they jump off a 20ft platform into the pool. In Islington the production made a donation to the Dania School. There’s the view of Islington’s Caledonian Road and Danbury Street over canal bridges. On the corner of Baltic Street and Domingo Street, the characters leave a charity office building and get into waiting car. There’s Exmouth Market, a cyclist along Finsbury Square, interiors shot at CityPoint and Grays Inn Road, along with the Mail Centre on Almeida Street, where a news crew reports on an accident at a building site, with police in the background.